I had a piece of cherry and one end was about 30 inches of live edge. I held on to it for awhile thinking I would find something cool to make with it but I settled on making a cutting board out of it. Gorgeous double live edge Cherry cutting board/charcuterie board/serving tray is durable enough to stand up to every day use while also making a fantastic conversation piece for your kitchen. Each board is unique and will vary in shape, size and character. This board is approximately 14 x 10 inches and 1 inch thick. Cutting boards may also be made to order *live edge boards are not always available. All boards are finished with mineral oil for easy maintenance. 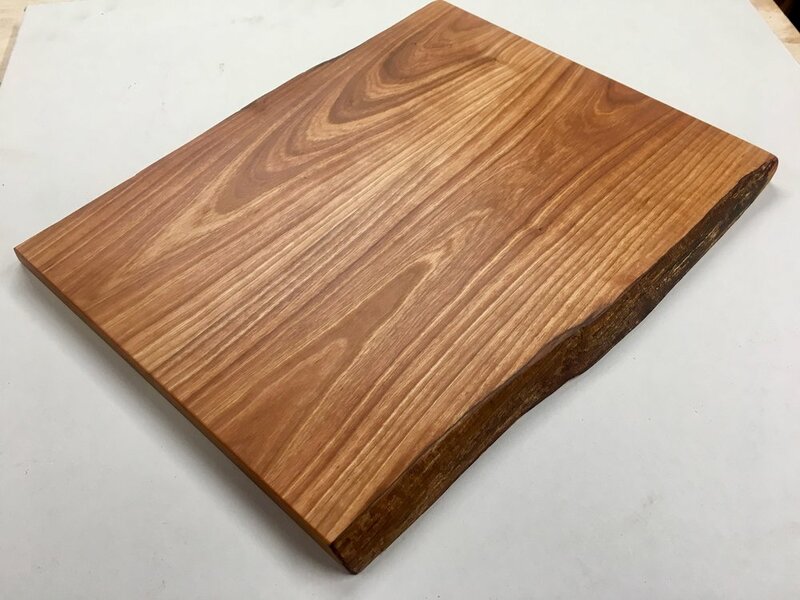 This large walnut and maple cutting board is beautiful and will make a wonderful conversation piece for your kitchen countertops. The hardwood will stand up over a long period of time with proper care.